Kate is the 'business brains' behind ArtWorks. After finishing her Degree in Managerial & Administrative Studies at Aston University in 1991, she followed a career in finance with companies including Chubb, Compass, Whitbread, O2 and British Telecom. During this time, she also qualified as a Chartered Management Accountant and followed this with a Masters Degree in Human Resource Management. In 2003 she set up her own company supporting small businesses and sole traders in the finance, personnel and company secretarial aspects of business. After moving to Wales, Kate developed her interest in the local art scene, acting as the treasurer of the Aberdyfi Art Society committee for 3 years and setting up and running the Dyfi Arts Guild in Machynlleth from 2009-2011. Kate has also been able to return to her passion for writing - she has already published 2 anthologies of short stories and is currently working on a series of novels for Young Adults. Nick is the 'artistic inspiration' behind ArtWorks. After a two year foundation course at Chester School of Art he gained a first class BA (Hons) degree from Wolverhampton Polytechnic, and a Masters Degree in Design at Manchester Polytechnic. Between 1983 and 2007 Nick worked in London as a designer in industry, designing furniture, shops, hotels and restaurants culminating in 6 years running a successful design consultancy specialising in the leisure industry. During this time he continued to develop his unique drawing and painting style. On moving to Wales, Nick joined various local art societies in order to exhibit his work and was a founder member of The Dyfi Arts Guild in Machynlleth, drawing on his commercial design skills to create practical and stylish exhibitions. He has also supported local artists and art societies by creating and developing websites. ArtWorks was the idea of Kate, and came about when her husband Nick, a local fine artist, was looking for opportunities to exhibit his work. 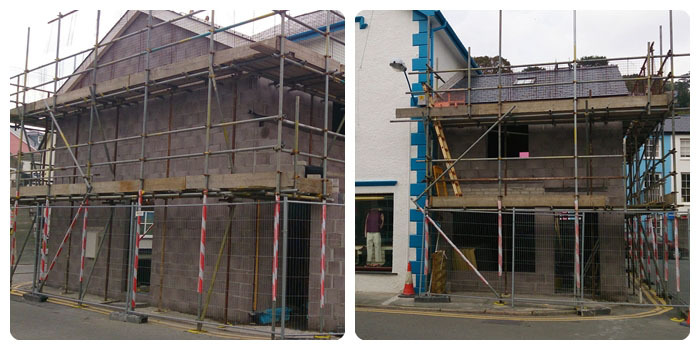 In the summer of 2012, she saw a chance to rent a vacant shop - 13a Glandovey Terrace, Aberdyfi. Gathering together some professional artists from local societies including CRYD and the Aberdyfi Art Society, Kate developed a business model that centred around sharing the exhibition space, costs and staffing between exhibitors. With a focus on promoting artists rather than making profit, 9 members were signed up and the ArtWorks 2012 exhibition was born. Initially intended to be a temporary 7 week 'pop-up' exhibition, it was extended into the Autumn due to its success and popularity, whilst efforts began on looking for a permanent venue. 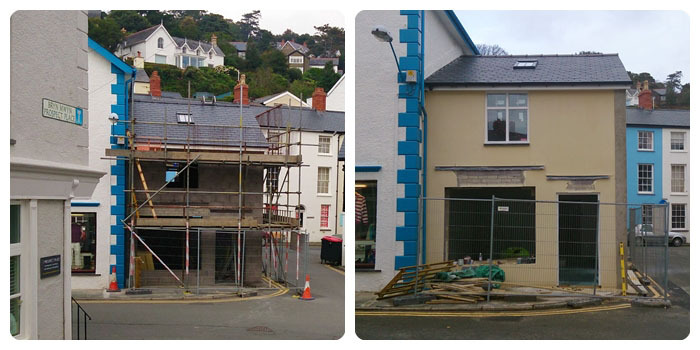 On 20th December 2012, Artworks completed the purchase of its new premises at 16 Chapel Square, Aberdyfi. 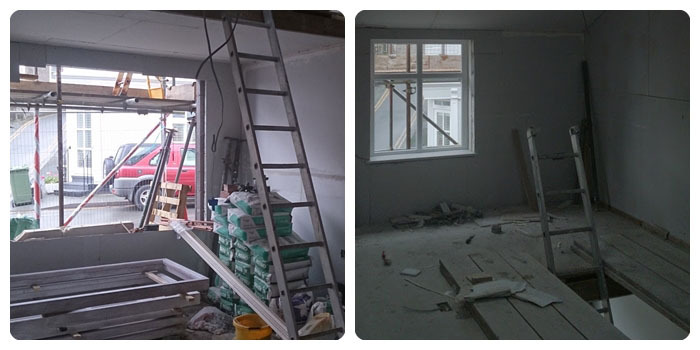 As this site needed extensive work, ArtWorks returned to its former premises at Glandovey Terrace, Aberdyfi with 16 artists for a Summer 2013 Exhibition. 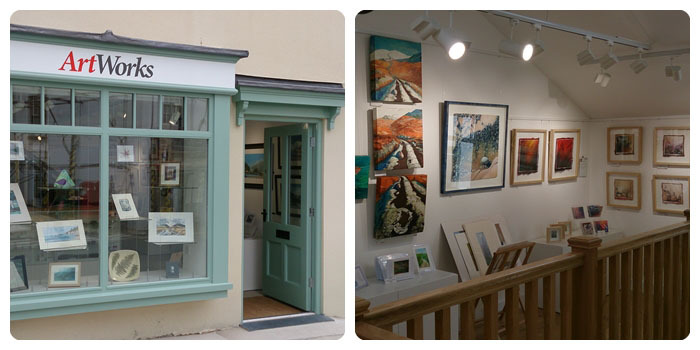 With renovations completed at the end of March 2014, ArtWorks became a permanent feature in Aberdyfi and now exhibits the work of over 30 different artists and craftspeople.